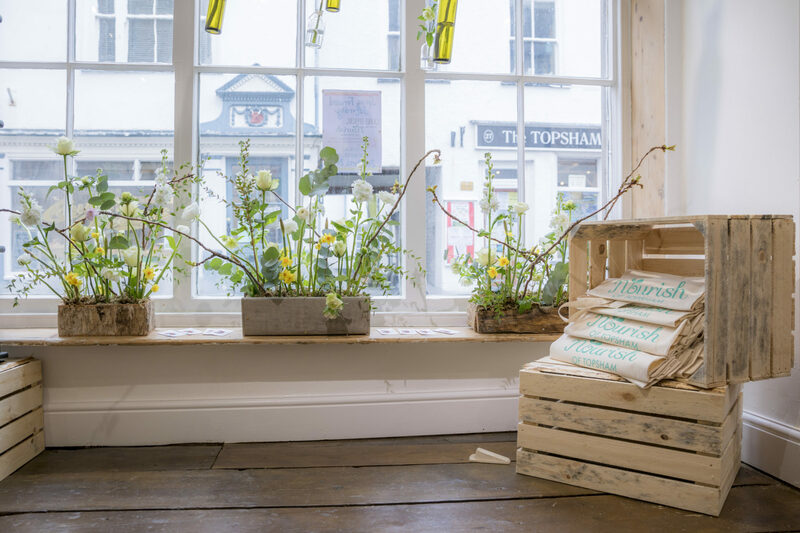 How did you get into the world of flowers and floristry? My background is as a Creative Arts Therapist, Arts for Health and Wellbeing and Arts in Education Practitioner. My degree is in Drama and Theatre and I have a Masters in Dramatherapy. I specialised in working with vulnerable children and young people and the elderly with dementia. At times, this work could be incredible tough and challenging, but with wonderful rewards and I was very proud of all the work I achieved. 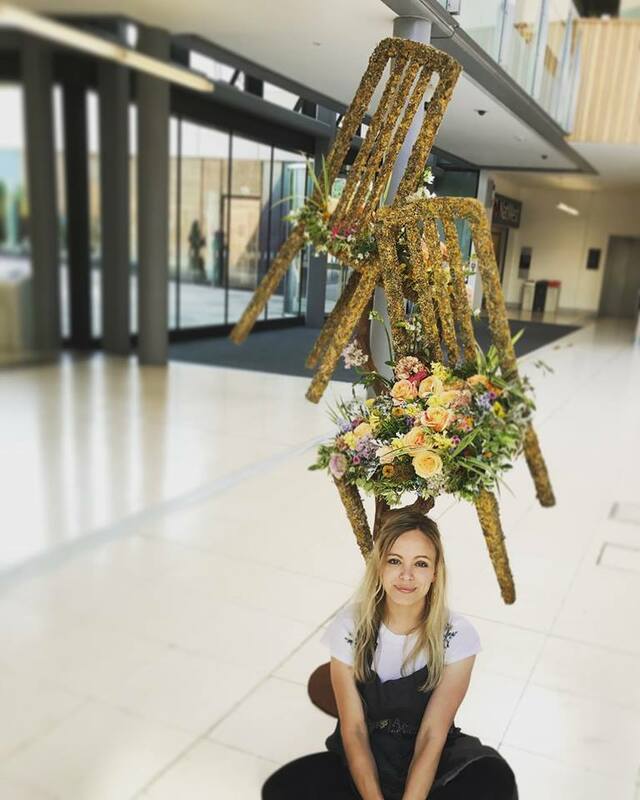 I decided to explore floristry whilst I was working in a school in Wolverhampton, as the Emotional Health and Wellbeing Leader and as the Safeguarding Lead. 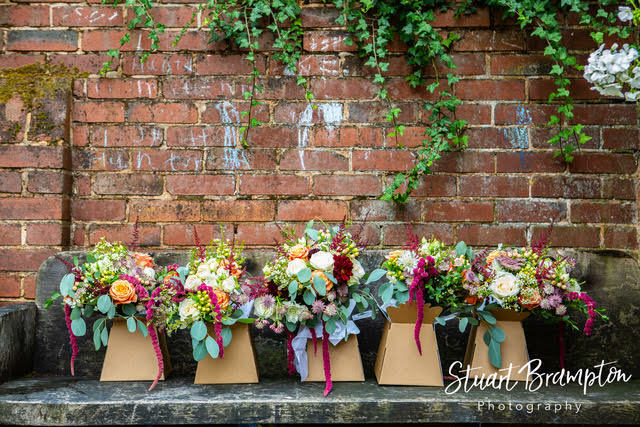 Initially, the intention for floristry was mainly as a creative outlet, as working hours were long and I had a limited network in the West Midlands. Flowers had been part of my family life forever, so it felt very natural to explore floristry. It wasn’t until I started my training that I realised that throughout a lot of my previous practice I worked with the themes of flowers, in poetry, in the therapy space and even having them in my classroom in the school. Can you remember your first contact with the Academy? I had a really wonderful phone conversation with Julie . I was in my car in a car park in Lichfield! Julie was so encouraging and I signed up knowing that I was going to be supported. Julie told me what would take place on the course, and what I could expect which was reassuring. The Academy is in a beautiful location. It felt very calm, creative and really gentle. The Level 2 class was not too big, and all my flowers and tools were there ready for me. We went from the basics – how to condition properly and so on. It was very thorough and very intensive. I started by taking the course with the Academy in the school holidays whilst I was working in Wolverhampton. I covered Level 2 in this way in the first year. The courses are separated into modules, which meant that I could fit them into the half-term and school holidays over the course of a year. I wouldn’t have been able to do it otherwise. It worked incredibly well for me and there were quite a few teachers on the course with me, using the school holidays with a similar purpose. The Academy is really suited to career changers, many people were in different phases of their lives and brought lots of different life experiences to the training – it was fabulous! 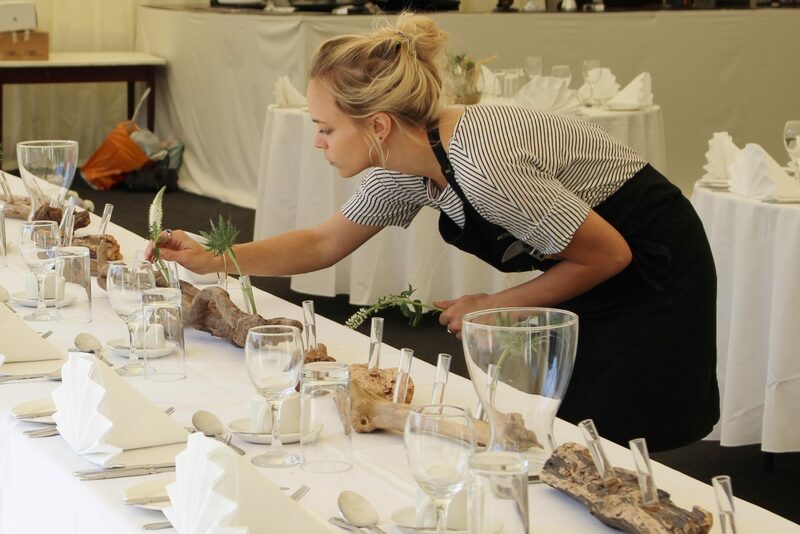 After that first year, I left my job in the Midlands and came home to Devon to work in a florist shop, and during this time I completed the Level 3 course. I took the one weekend a month option, which is ideal when you’re working. When you transition to Level 3, you’re creating far more of your own ideas, designing, planning, buying and executing them with full support. Attending one weekend a month meant that the Level 3 was well paced with time for reflection, practice and personal development between sessions. 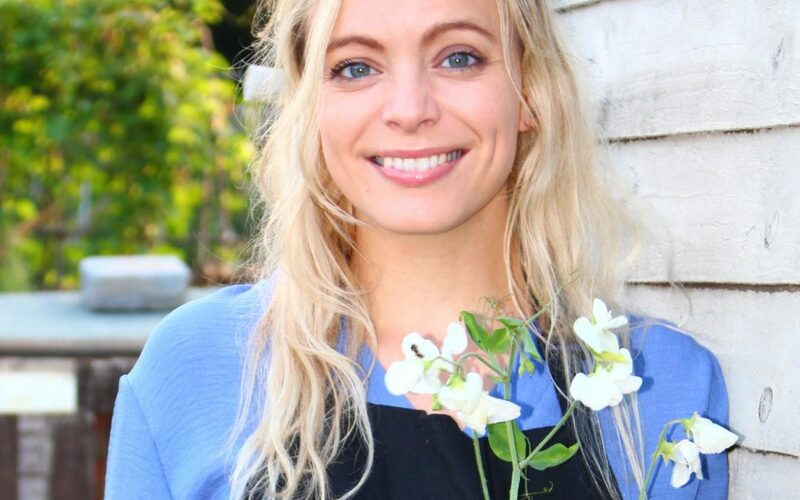 I’m now building my own business, Zoë & Wildflower, whilst working in a florists in Newton Abbot. I also freelance for other florists when required. I now work with flowers full time and they have become a really important and beautiful part of my life. The florists in Newton Abbot is great. It’s an incredibly busy shop in a great location. Most of the women I work with have been doing floristry for many years and we are all sharing different skills and techniques, some of which I learnt with the Academy. I’ve worked on quite a few extracurricular projects with the Academy – at Exeter Cathedral, Poltimore House, The Exeter Floral Trail and I’ve helped them twice with the RHS Malvern Show. The hands-on floristry experience is something else the Academy is brilliant at. The Academy is still like a little family support network. I know that I could ask for advice and support would be there. They are still there as guides. For me, this really sets them apart from other flower schools. What are your plans for your own business? My business is growing organically, which is great. I have met brides from wedding fairs, through recommendations and through them spotting my work on social media. I have a particular style and it’s always so lovely to have new contracts stemming from people liking my floral design. Other work has evolved from promotion or through professional recommendation – for instance biodegradable funeral work. I have lots of projects and workshops in the pipeline, but in terms of my wedding and event floristry, I am really happy with it growing naturally, as it is. I have been quite busy this year with weddings and each one has been thematically different, allowing me to use my creativity and flair. 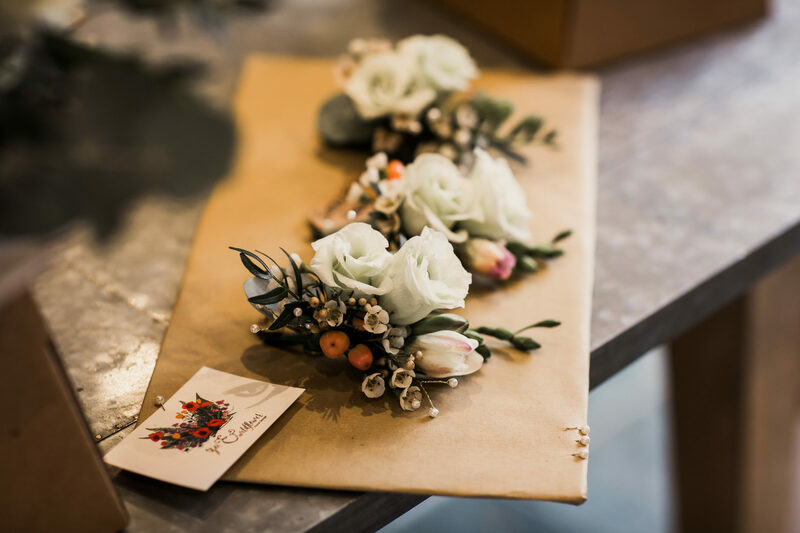 I have a real interest in the stories of flowers, their meanings and significance and this is often woven into the choices I make for the happy couple. My wedding work was featured on the front cover of the Exeter Living wedding edition this time last year, which was a real compliment. I like to work with local and British flowers. My main source is BJ Richards I tend to go to them for British grown flowers, as well as other local growers. It is important to me to use as many British / UK grown flowers and foliage as I can, and to also use as many biodegradable materials as possible. Floral design workshops are definitely in the pipeline too and will be coming into fruition in the New Year. Flower jewellery is also becoming a professional hobby of mine. I am also exploring projects that link my previous work and flowers together, particularly women’s groups and working with elderly with dementia.